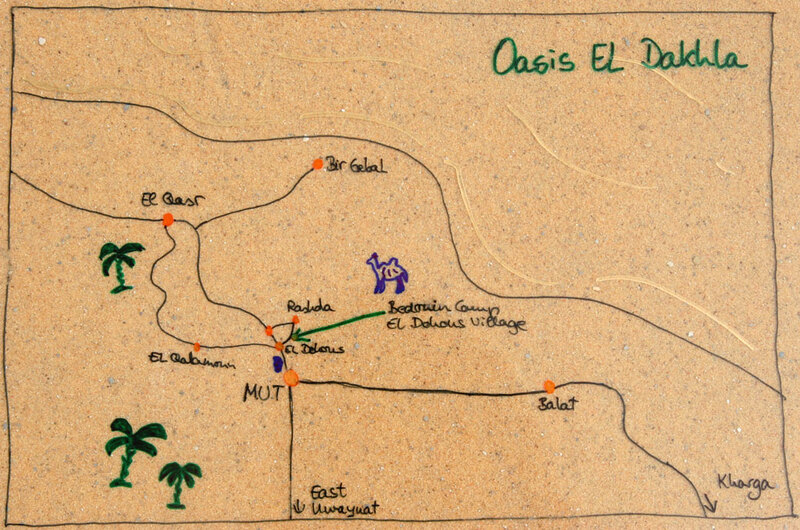 The Oasis El Dakhla is located in the Western Desert of Egypt between the oases Farafra and Kharga. 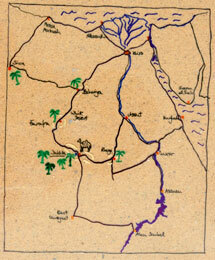 You can reach us by car on the main desert road that goes from Kairo to Assiut or by public transport. Buses are leaving Cairo every early morning between six and eight o'clock and in the evening between six and eight o'clock from the Turgoman Bus station close to the Ramsis train station in the center of Cairo. You will arrive Dakhla around 12 hours later. minibuses or taxis to come to Dakhla as well (around two and a half hour). 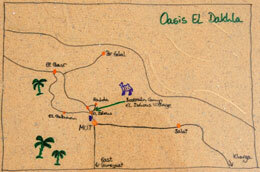 All buses will stop in Mut, the capital of the Oasis El Dakhla. 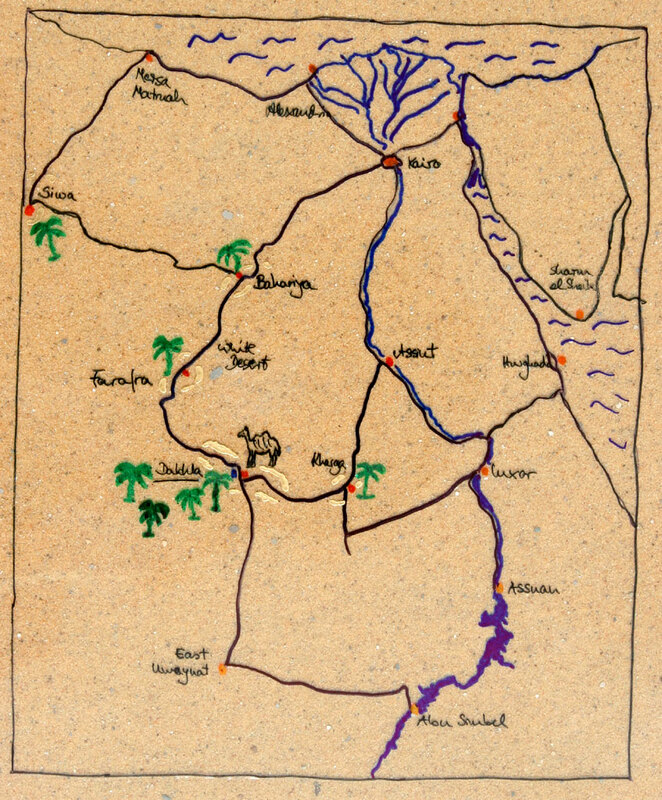 There is no direct bus from Luxor through the Desert to Dakhla but we can pick you up with our jeeps if needed, also from Cairo. Arriving in Mut, give us a call. We will pick you up there. 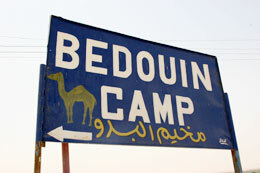 For sure you will find also taxi or minibuses to the village El Dohous. From there it is about 1 km walking to our hotel. Coming from Cairo you can ask the driver to let you out of the bus in El Dohous before arriving in Mut.